Recently, in the news, I've been struck by two stories that could not be more different if they tried... One, of a young boy with Down Syndrome, who had visited a restaurant in Houston, TX with his parents. While they dined, the gentlemen at the next table was apparently bothered by the sheer presence of this little boy's disability. He asked to be relocated to a different table, and then exposed the absolute callousness of his heart when he told the waiter that, "Special needs children need to be special somewhere else". The waiter, in a single moment, was raised to hero status by much of America, when he refused to serve anyone so cold hearted and unkind. Bravo! Someone chose the side of the defenseless and stood up on their behalf! Only a few weeks later a video began to circulate on the internet of another story. This one included a special needs young man as well, but it was filled to overflowing with wonderful, kind-hearted, everyday heroes that did what was right and good on behalf of that young man... Once again, all of America that witnessed the video stood to their feet, wiped a tear, and applauded the heroes of the story! I could watch it again and again and it warms me to the core every single time! Why? I think it's because deep inside all of us, especially those of us who follow Jesus, we know that every single human being has intrinsic value! Like the perfect T-shirt precocious children wear that says "God don't make no junk!!!" We know this, but do we really believe it? If you could put each one of us on a movie screen and play a clip or two of our lives and our absolute indifference to the "least of these", most of us so called Christians would be embarrassed. Sure- I love the orphan, even those with disabilities.... just don't call me to do anything uncomfortable or costly about it! In many areas of the world, to be an orphan is a curse. But to be a disabled orphan is worse still. Many believe that a disability of any kind is evidence of an evil spirit or a terrible jinx that will bring bad luck to you, your family, or your business. And if that disability is a mental one, these precious human beings become the most unwanted of the unwanted. A flawed human being is an outcast. Discarded on the streets or hidden away in an institution far from the public eye. Out of sight- out of mind.... It is as if they don't even exist! Orphans like these are destined to serve a life sentence in mental institutions. It was only recently that any of these children were even put up for adoption, because they were tagged at birth - "Unwanted... Unadoptable" Really? Who has been given the right to decide the worth of another human being? Certainly not one of us!!! Surely this breaks the heart of God! Why don't I care? Why don't you? I can remember many trips to Russian orphanages- hidden away deep in the country, far from civilization, filled with children who had been all but forgotten. Unwanted. I'll never forget the absolute silence on our bus as we pulled away from one of those orphanages following a wonderful day of gifts, and hugs, and stories of God's love. The children ran as fast as their legs could carry them... after our bus! Their eyes pleaded with mine! "Please! Take me away from this horror of nothingness! You told me of Jesus and how He loves the children, but now you're driving away. How are His stories to mean anything to me, if not through YOU!" 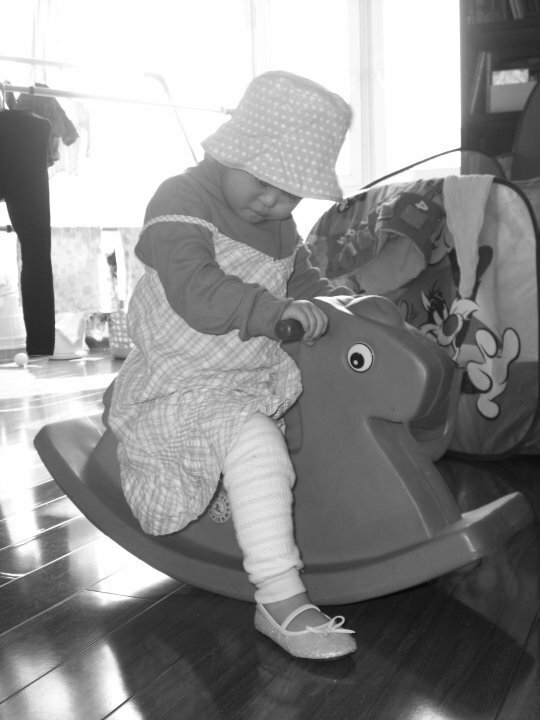 Years later I would find myself in an orphanage in another part of the world where my daughter spent the first 14 months of her life. We had to get a special invitation from the director to visit, and he had granted it. But we had been sternly warned that no videos or photos were to be taken inside. 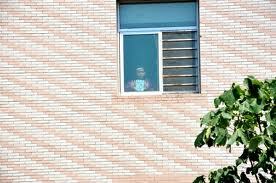 What was inside those four walls that they obviously wanted to hide from the eyes of the world? I got an idea as we entered the building and saw a hallway closed off by a green curtain pulled shut, keeping us from seeing the horrors that were behind. Everything in me wanted to run through the curtains and scoop up a child, any child, and tell them that they were valuable, lovable, and precious in the sight of God. I resisted the urge and kept a polite distance, but as I walked by I saw two little hands stretch through the center of the drawn curtains, as if reaching out for a chance at life... And in the deafening silence I could hear the precious child's words, though they were not audible... "Choose ME!" Those "hidden" children haunt me. If there is the least of "the least of these"... these children would qualify! Our precious Ellie was born without a left hand. Perfect in every way and one of the sweetest, most tenderhearted human beings you will ever meet! Chinese onlookers would "oow" and "ahh" at our "lucky baby", as they called her, since she had been chosen to go home to America! But then you could literally watch their entire demeanors change when they suddenly noticed her left arm, with a stub of a hand and tiny nubs of fingers attached. Most would begin to point and whisper. They would look from Ellie's hand to me, as if wondering who would actually "choose" this unwanted, broken child. Several old ladies came close to the stroller and spit in her direction as they walked away in disgust. Then just a year and a half ago, we took the biggest leap of faith of our lives, and returned to China for a 7 year old girl that was considered "terminal". She would need a miracle to live. What fool would actually "choose" such a child? The Chinese looked upon us with pity. What an incredible loss was theirs! Little did they know that one of the sweetest treasures they would likely ever meet, had just boarded a plane for a home far away, where everyone that met her found her to be of immeasurable worth! Her sweet spirit of joy and hope permeate every inch of space her body inhabits! Unwanted? Never!!! Phew! I've done my part in reaching out to "the least of these", right Lord? But before I can even finish my question, I hear His gentle answer... "Oh, Lori,... you have only begun to scratch the surface! Come ~ Let's draw back those curtains and look at what lies behind. Let's consider what awaits those who will never be chosen. Those who will never know the love of parents because of their brokenness." 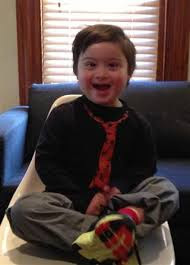 Had they been conceived by American parents, the children with Down Syndrome and other debilitating diseases, would have been aborted before having the opportunity to take a single breath. But these were born and then their brokenness was discovered. Now they have been discarded. Now they have been hidden away in obscurity, while the world moves on as if they don't exist. As I've drawn nearer and nearer to the Lord in these past few months and years, my heart has become broken for so many of the things I have successfully ignored for most of my life. A friend called and shared her disappointing news... the child she was carrying wasn't as "perfect" as they had hoped. It had been diagnosed with Down Syndrome. She could terminate the pregnancy if she chose to. Who would blame her? Statistics show that about 90% of Americans receiving the same news today wouldn't blame her! They would choose abortion for their disabled, unwanted child. But this wasn't an option for this God-loving friend. She believes that every life has value! Even those that appear broken at first glance! I sought for ways to encourage her heart... "This child will be such a blessing!" I told her. "Think of how wonderful this will be for your other children!" It seemed, in thinking about it, that learning to love a child different from themselves would have beautiful results in their own lives and in the life of their family! The more I considered the child she carried in her womb, the more I could suddenly see it's absolute value to a world which has such high esteem for perfection. You know them... How many times have you heard it? "I don't care whether I have a girl or a boy, as long as..... it's healthy!" But what if it's not??? Then you WILL care? Then you will.... what??? And then suddenly, like a flood, I saw them everywhere!!! Incredibly beautiful, broken people. A young man two rows in front of me in church... singing and raising his hands to the God he loved. He moved me! Why can't I worship God with such abandon and not worry about what the people around me might think? I decided in watching him that there is incredible beauty in brokenness!! That same young man had the job of greeting me and the other worshippers as we entered the sanctuary that day. He made me feel special. He seemed genuinely happy that I was there! Nobody else seemed to care that much. Who exactly is "broken" here? Only days later, I came into contact with a family that had actually chosen to parent several children with Down Syndrome. They spent thousands and thousands of dollars, and willingly sacrificed a life of "freedom" to make them their own! They saw a beautiful treasure where the world saw brokenness. Somehow they saw what God sees.... Beauty in brokenness. I felt jealous of the blessings that obviously overflowed into their lives because they were willing to embrace what others have discarded. I can't even remember now, but through a series of events that piled one on top of the other, I was on the phone with an adoptive mother of a precious DS girl from China. (That's you, Sally!) The joy oozed through the telephone line... beauty in brokenness! I was suddenly struck by the many ways I have always longed for perfection and in so doing, missed beauty. 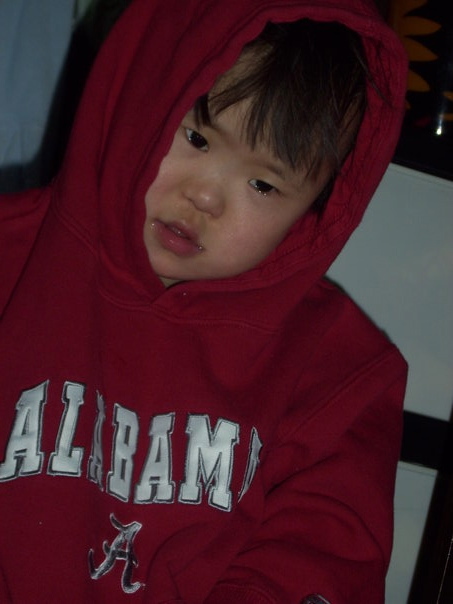 Precious Laine has Down Syndrome and is 11 years old. In 3 years she will likely be placed in a mental institution for the rest of her lifetime. Does anyone care? 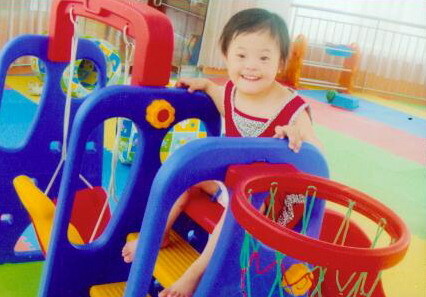 This is Zoe- She has Down Syndrome too - Isn't she precious? She desperately needs a family to love her and give her hope for a future beyond an institution. Beautiful Bailey is 10 years old. She has cognitive delays and low muscle tone in her arms. The word "retarded" on her file will keep almost every single family searching for a daughter away. I think she has immeasurable value... don't you? 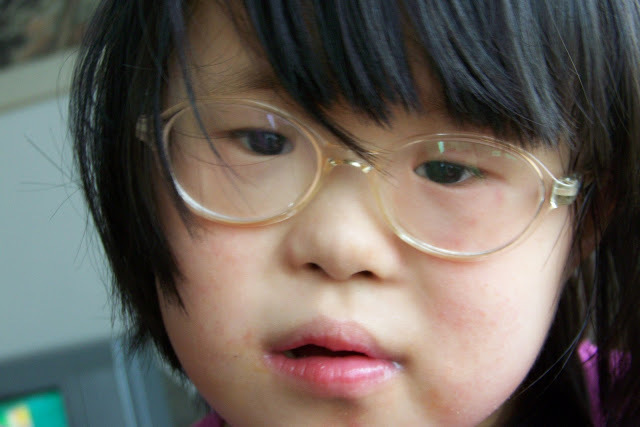 11 year old Emily has Williams Syndrome... She longs for a family! People with WS are considered the kindest, most loving of God's creation. A mistake? No way! We need more Emily's in our broken world. Can't you see the beauty deep inside? My heart felt as if it skipped a beat the moment I laid eyes on this treasure~ I was almost certain that I was looking at the little girl God intended to be MINE! But I'd made a promise that I would no longer beg, plead, or manipulate my precious husband for more children. I believe that God can speak directly to his heart about the matter without my help! (Though I admit I haven't tried it often!) It took incredible self control to keep a seal on my lips. Faith would bring this child home, not my power of persuasion. Her story and photo would join the others on my refrigerator for our nightly prayers around the table. Just seeing her there each time I opened and shut that door, deepened my conviction that she was mine. It's a weird thing... and beyond words to explain it, because my heart breaks and yearns for a family for every single face on that fridge and the millions like them that won't fit there. But something different and even deeper still happened in my soul in response to this little angel. So I prayed... and I prayed... and I prayed. Have I told you how much I prayed yet? I would wake in the night and whisper her name to the Lord again. I awoke to prayers for her and fell asleep speaking of her. How was the fact that she was our daughter not blatantly obvious to my dear husband? And yet I could see the heart inside my man beginning to soften. There was a new skip in my step, as I sensed God's stirring. Maybe my heart hadn't deceived me. Maybe she really was mine!!! I mean, let's be real (since that IS my calling card!) A sane woman doesn't just wake up one morning and decide that she wants to mother a child with Down Syndrome. Key word? WANTS! I had to literally pinch myself and do reality checks on an hourly basis! What are you talking about, Lori McCary? Have you lost your mind? It is in these special conversations with myself, that I get a sneaking suspicion that God is up to something. Crazy, self-denying, life-changing ideas typically have His name written all over them! I decided this time was NO exception! But I knew if it was God's crazy ideas at work in my heart, He would have to be doing the same in Doug's heart too! After all.... this is NOT something I could do alone! Doug was headed out of town last Thursday to go and preach at a church we attended in Texas. Sermon title? "How Big is Your God?" Hmmmmm.... pretty BIG, I'd say!!! He asked me to ride with him alone to dinner at our favorite restaurant. He obviously had something on his mind! We'd hardly pulled out of the driveway before he began what was obviously a "prepared" comment.... "Lori, I KNOW what God is doing in your heart for these precious kids.... in particular, I KNOW how you feel about Abby!" (Surely it wasn't THAT obvious, you think???) "But I need to hear it straight from the Lord! So I have prayed. I have sought the counsel of my ministry board. I have asked my entire men's bible study to pray for me about this. I have searched the Bible and asked God to speak clearly to me." (I stared straight ahead and can still see the exact place in the pavement our car was at that precise second... I tried to cushion my heart for the blow I felt was coming... I told myself that I could cry later, when I was alone...) "God has made it perfectly clear...." He continued, (insert a crack in his voice and tears welling up in his eyes as he finished his statement) "....that we are to adopt again. ABBY IS OUR DAUGHTER!!!" So without further a-due'.... Let me introduce our precious new daughter to you! Her name will be Abigail Faith McCary, but we will call her ABBY! Calm down my Gator friends! We'll straighten this out when she get's home! It is incredibly evident that God's hand has been on this precious child since her birth. 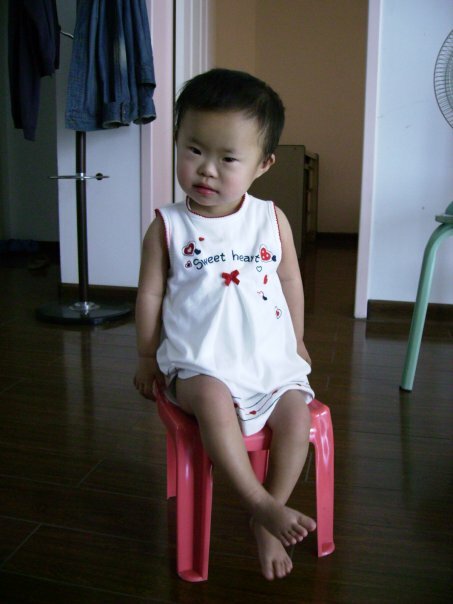 She was literally "rescued" from the orphanage by an American foster mother at the age of 28 months, so malnourished and weak, she couldn't even sit up. She needed open heart surgery for a congenital heart defect, abdominal surgery for an intestinal problem, she needed help to be all she could be in spite of her extra chromosome. But most of all she needed LOVE... She needed to be wanted... She needed to know that she was a human being with value! Through this incredible young woman who had moved to China to simply teach English, Abby got all of that and MORE! And now in response to the prayers of that selfless foster mother and so many others,... Abby will soon come home to a forever family that will adore her and in so doing, find incredible beauty in brokenness! We'll end with this one, but don't worry! There's more to come!!! I love your refusal to manipulate your hubby but to rely on prayer, Lori. I am so happy for you both. You've made me day and inspired me to go higher. Love you! been on her and will continue. Your love and faithfulness will be blessed as you rely on His strength. So excited for your family! I will read this again when I can see without the sting of tears in my eyes. I love you, my sister in Christ. I am so moved by your faith and the love in your heart. So excited for the McCary family!!!!!!!!!!!! P.S. The baby photos are true treasures and I know how very much they mean to your Mama's Heart, Lori! Love it, love Abby, love your heart and your ability to express what many of us have gone through! Heehee really keep quiet - don't hound, beg or plead - ok it worked for you!! I just shared this post with my friends. I love your sweet heart friend and I love when God clearly speaks to us as He did with you and your husband. I will be praying for an easy and quick adoption process and of course everyday for Rachel. Sweet friend, my heart is singing at what the Lord is doing in and through the McCarys. Praise his Name. Even though I've heard this story 3 or 4 times....I stilled cried when I read it!!!! Love you and canNOT wait to go get Abby!!!! Praising God that another precious child, Abby, will have a forever home! I can't wait to follow every step of the journey. "For this child I prayed." Best illustration I have even seen, right here!!! Abby is beautiful! I was holding my breath, scroll, read, scroll, read, turning blue now, scroll, read. ahhhhh. Your daughter. As God intended. Congratulations from the mother of a Shanghai Abigail Faith! What a blessing this child of God will be to you and your family!! Simply Beautiful ... all of it! Congratulations!!! She is a treasure - absolutely beautiful! oh.my.goodness!!! I am so very happy for you as I KNOW how it is when God brings a child to you when YOU were not looking:) That is exactly what he did with our Janie, yes he woke me up at all hours, broke my heart for her, and gave me a drive to claim her as mine that I have yet to experience again!!! Many many congrats on this precious child God claimed to be yours!!!! The foster mom that you talk about is a very good friend, I remember very well when she brought Abigail home and the sadness of when she had to take her back to the orphanage. Your blog brought tears to my eyes knowing that Abigail will have such a wonderful forever family. I am so happy for ya'll ! What a beautiful story that you have to share with the world ! Your family is such a living testament to God's love. You don't even have to open your mouth to show what it is you believe. So excited ! To God be the Glory ! I am so thrilled to hear that Abby will be coming to the U.S.! 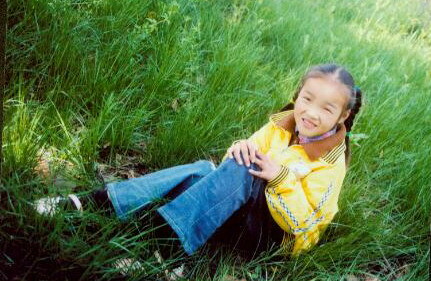 I remember when Melinda first brought her to her home in northern China. Melinda was one of our teaching assistants and her mission was so wonderful. While I haven't seen Melinda in a few years, I've kept up with her and with her love for "her" children. Even though my own daughter never met Melinda, for years she heard me speak of her and her little ones. Now, about to graduate from high school, my daughter is completing her Girl Scout Gold Award, which is like the Boy Scout Eagle, bringing awareness about abandoned children in China and across the world. 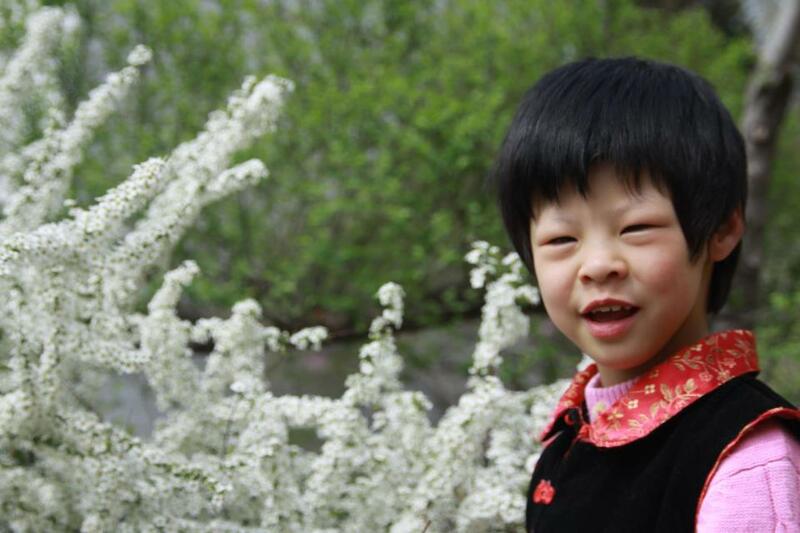 She hopes to visit China next summer and volunteer at at least one of the orphanages. She will be loaded down with hand-made blankets for the youngsters to keep as their very own, not something they have to share or leave if and when they go to their forever homes. Thanks to Melinda my daughter learned so much about compassion and God's love. I am so overjoyed to hear about this. Melinda, Abigail's foster mom sent this blog link to me via email, and I'm so thrilled for all of you! I have lived next to Melinda for years with my family until I went to college and I've baby-sat for Abigail several times. She is a wonderful little girl. Your story is amazing, I can't wait to hear about everything else. God bless your family. I am so happy to be a part of this journey with you!! I love you and miss talking to you my sweet friend!!! What a wonderful post! We are adopting a little boy with minor special needs from Ch*na and I have begged God to allow us to also adopt a sweet little 2 year old girl with DS as well, but my hubby says no. I have fasted, prayed, prayed, prayed and prayed! But hubby hasn't changed his mind so I will submit. At first it was excruciatingly hard and I would cry often unexpectedly because it hurt so bad, but I am slowly, although reluctantly, coming to peace with it. Perhaps we will go back for her later? Perhaps God has her in mind for another family? But your post was so encouraging, thank you :-).